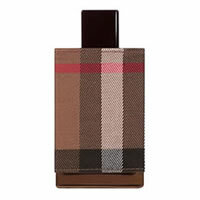 Burberry London For Men is a thoroughbred signature inspired by the city of London. Burberry London For Men is an amber, woody and spicy creation with a lively and sensual opening of cinnamon leaves and pepper. At the heart, the fruity flavor of port wine is paired with leather to announce a woody-oriental trail. Oak moss and gaiac wood blend with sweet vanilla waves of opoponax resin, for a masculine aroma.